Torturous months, well years, are coming to an end. 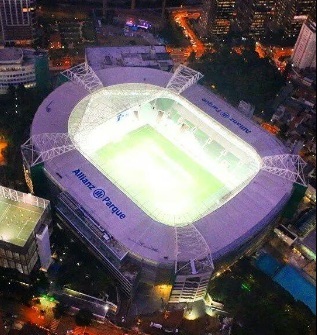 Yesterday, it was confirmed that 10.000 spectators will have the privilege to assist the first game to be played at the Allianz Parque – a veteran’s game in homage of “the Divine” Ademir da Guia. The match, taking place on Saturday 25 October, is the second test event out of three; the first event was a movie screening for a selected audience of 3.000 in late September. Palmeiras and WTorre seem to be on speaking terms again, probably in a mutual understanding that the various pending issues regarding the contract – most importantly the right to commercialise seats – mustn’t hinder South America’s most modern multipurpose arena being put to good use as soon as possible. Last Monday, vice-president of the CBF, Mr Marco Polo del Nero, visited the Arena, for three hours, in the company of Walter Torre and Paulo Nobre. I can’t remember the last time I saw these two gentlemen together. A good sign. Friendly games in all honour: when will Allianz Parque experience live ammo for the first time? Everything points toward 9 November, the date Palmeiras receive Atlético Mineiro for the 33th round of the Brasileirão. 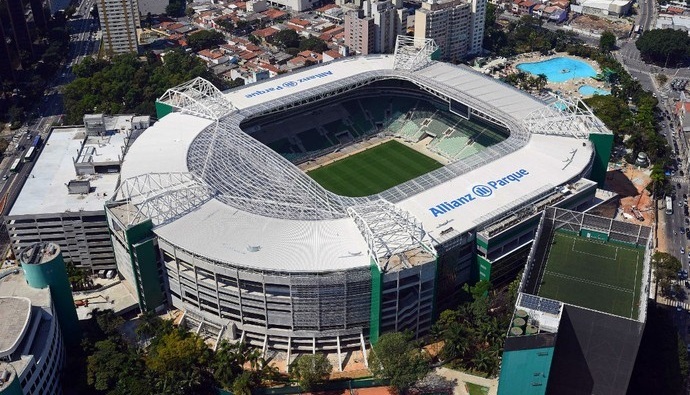 If – and that’s a big if – a third test event can be arranged before the 9 November, the Allianz Parque will be allowed to operate at full capacity when Palmeiras play Atlético: some 43.000 supporters. It’s speculated a training session – with 30.000 supporters on the stands – could be that third event. If no such event is carried out, only 30.000 supporters could be allowed in for the opener against Atlético. Not ideal, of course. Not bad either, but not ideal. Fingers crossed. In any case, the stadium is 97% concluded and will be 100% ready when SIR PAUL McCARTNEY steps into the spotlights on 25 November, as now officially confirmed. 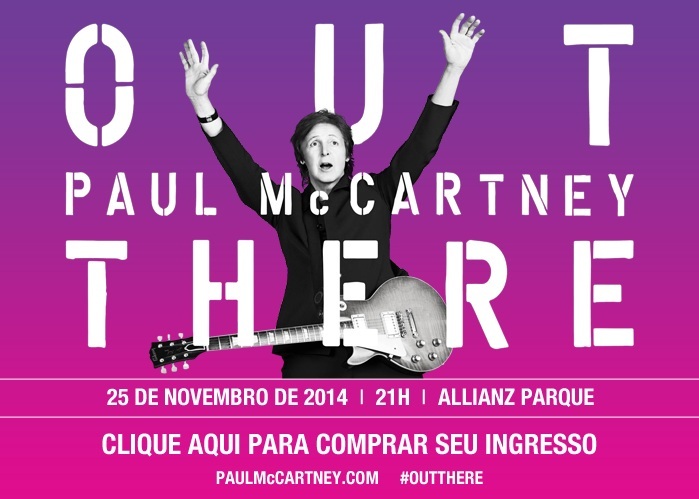 Of course Sir Paul has chosen the Allianz Parque as his venue. The permanent technologic installations alone are worth some US$ 20 million. That includes 500 wi-fi antennas providing free internet access to spectators and the two jumbotrons, where interaction with the audience will take place much like in the NFL. In addition, expect regular TV screens in every corridor and corner – some 700 in total – allowing fans to watch the game when standing in line or executing some other fundamentally important biological function. Allianz Parque is not only modern, but stunningly beautiful. Aerial shots at night, like the one to your right (by Dan Albuquerque), gives you an idea. Recently, the stadium won two categories in the prestigious “Corporate Architecture Awards”, one of the most important of its kind in Latin America. No wonder WTorre has already closed deals on 75 out of the 80 available VIP cabins, their annual renting fee coming at US$80K-210K a piece. Did we mention the acoustic experience, expected to turn the Allianz Parque into a cauldron of Bombonera magnitude? You might be asking yourself, who will run this flagship? None other than Susan Darrington, former vice-president of the CenturyLink Field, the largest stadium in Seattle, USA. CenturyLink Field is the home of current NFL champions Seattle Seahawks. It’s also where the Sounders receive an average 44.000 spectators a game in the Major League Soccer. The arena hosts a whopping 300 events per year – large and small – and 1.5 million visitors. For ten years, Canadian-born Mrs Darrington was one of the responsible for managing the CenturyLink Field. And it’s this experience she is now deploying as General Manager at the Allianz Parque. Yes, deploying, as in present time: Mrs Darrington is working for AEG – the company contracted by WTorre to run the Arena for the coming ten years – and has been in São Paulo since the beginning of 2014. Together with Director of Operations Raj Saha (with the Madison Square Garden on his CV) and the two Brazilian executives Felipe Soalheiro and Pedro Machado, she has the mission to transform the Allianz Parque into the main multipurpose arena in the country. The aim: attract same number of events as the CenturyLink Field. Palmeirenses should keep in mind that the club is entitled to 20% of net revenues from “non-football” events during the first five years of the contract with WTorre (all revenues from games are Palmeiras’). The club’s share of these external revenues increases by 5% every five years, meaning Palmeiras will be entitled to 50% of net revenues during the last five years of the contract. When the contract expires, in 30 years’ time, all revenues will go to Palmeiras. Just like a good wine, for Palmeiras, the Allianz Parque will get better and better year by year. Talk about a bright future! Next Half full or half empty?